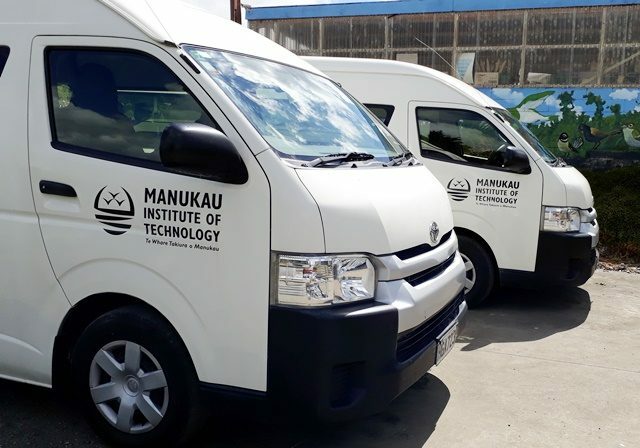 The Manukau Institute of Technology is a major New Zealand tertiary institution based in South Auckland providing degree programs in a variety of faculties. 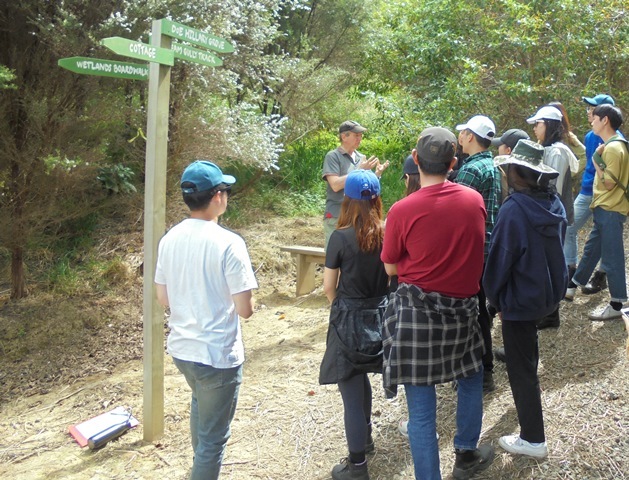 Today lecturers Neil Clarkson and Paul Padfield from the Department of Horticulture & Landscaping Arboriculture, brought out eighteen horticulture students to learn some practical aspects of New Zealand plants and animals, restoration and pest control. 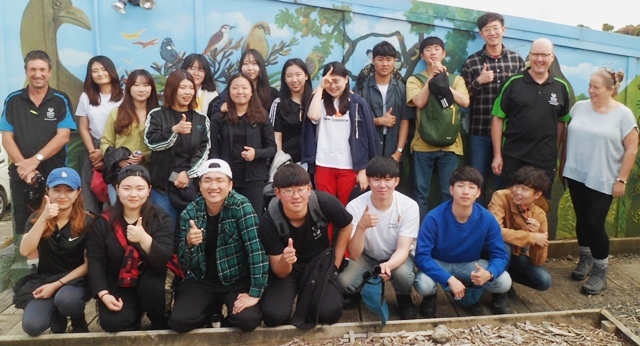 The students are all from Korea and are studying at MIT until March, 2019. 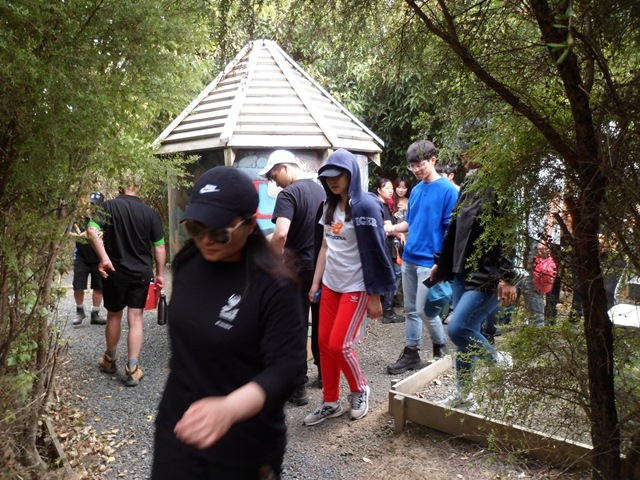 The group arrive shortly after 9:30 and included Aejin, Daeun, Dajeong, Eujung, Garam, Hyeongseob, Hyunjin, Jisoo, Junseok, Kihwan, Sanggyu, Seo Yun, Sojin, Taewon, Wansub, Yeongseon, Youngseo and Yun. 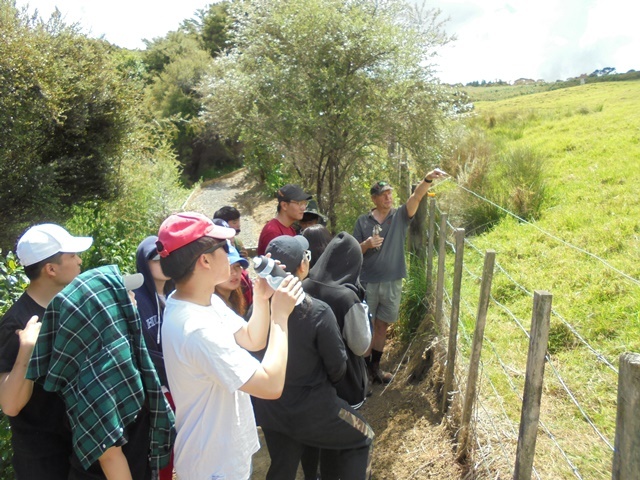 Also joining the group was Morag Padfield, Science and Sustainability teacher at Auckland Girls Grammar School. Over morning tea, Mahrukh gave a brief history of the CUE Haven project and a description of the restoration project. Our first visit was to the nursery where Mahrukh explained its conversion from a milking shed to a nursery. 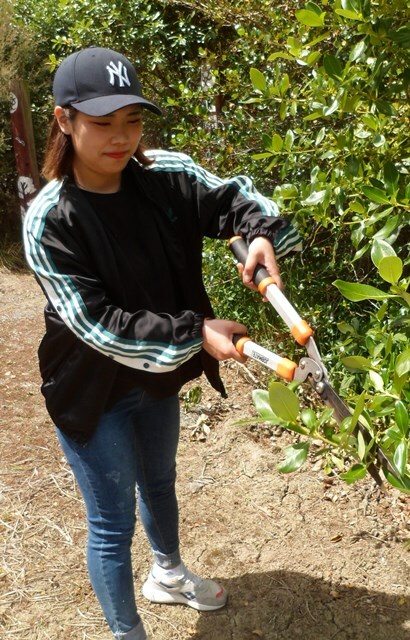 She also described how we use the nursery now and showed some of the canopy trees our volunteers had recently potted up and which we will be planting next winter. Thomas then took the group for a walking tour of the property. 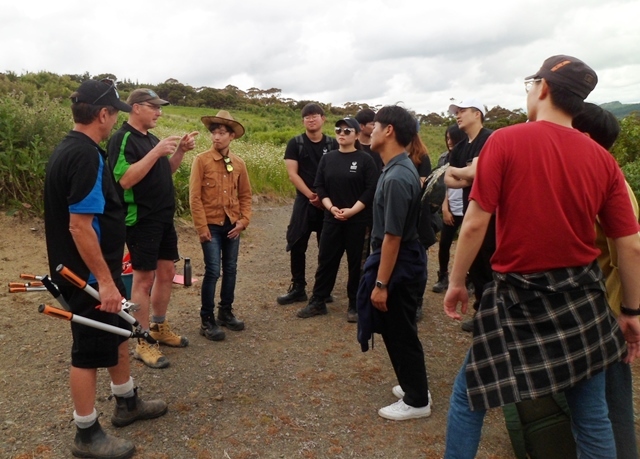 Before starting out, he gave a safety briefing and talked a little bit about what they would see on the walk. 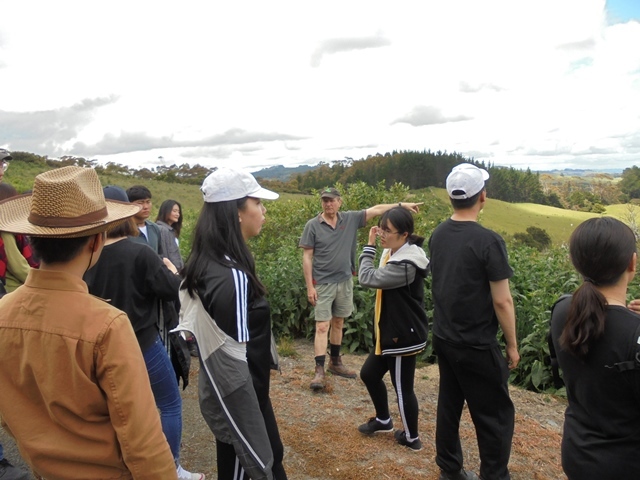 He showed them the neighbour’s paddock to give the students an idea of how CUE Haven looked ten years ago and then showed them the 2008 and 2015 plantings so that they could compare the way the trees had grown up. 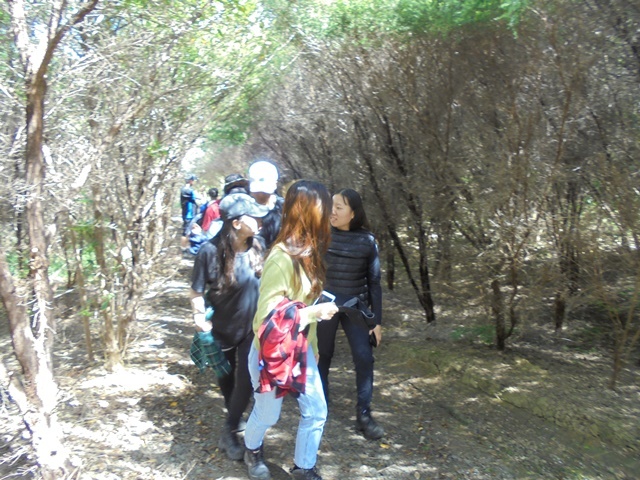 He also explained some of the challenges with the restoration project, such as dealing with invasive weeds such as kikuyu grass. 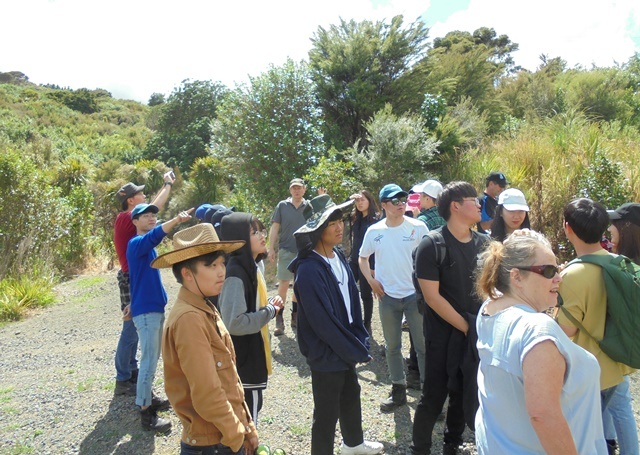 During the walk, Thomas pointed out some of the different planting areas to show the students how the trees were growing and explained the difference between wetland and non-wetland plantings. 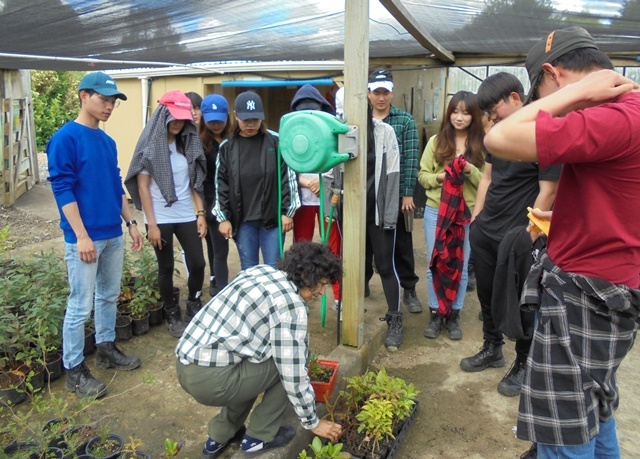 He reminded the students about the importance of riparian planting and how the tree plantings had helped water quality in both the CUE Haven stream and downstream in the Araparera River and the Kaipara Harbour. 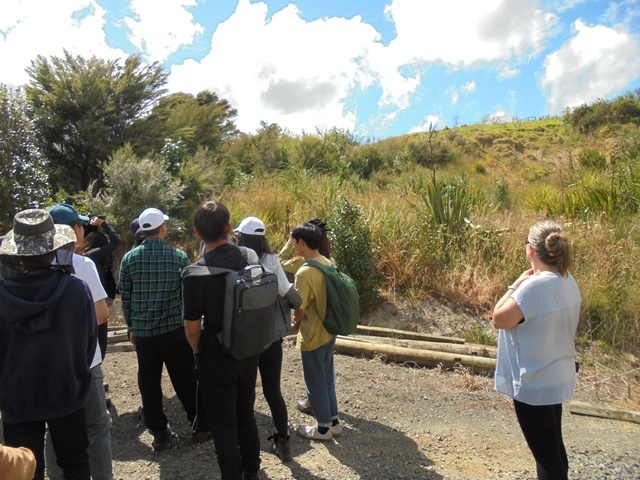 The students saw the big landslip we had during a torrential rain storm in August 2016. 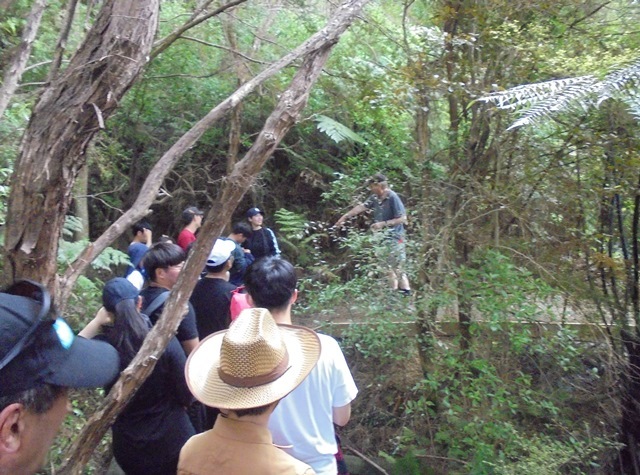 Thomas explained how the slip occurred and the remedial planting we were now doing in the area to stabilize the hill slope. 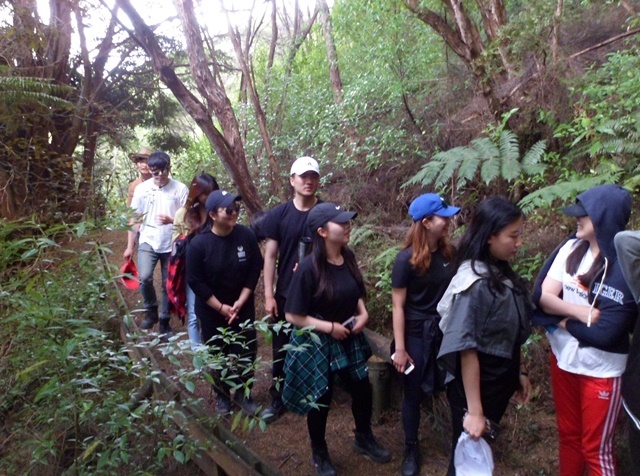 The group then headed to the big puriri tree that our pest control efforts had saved from possum browsing. 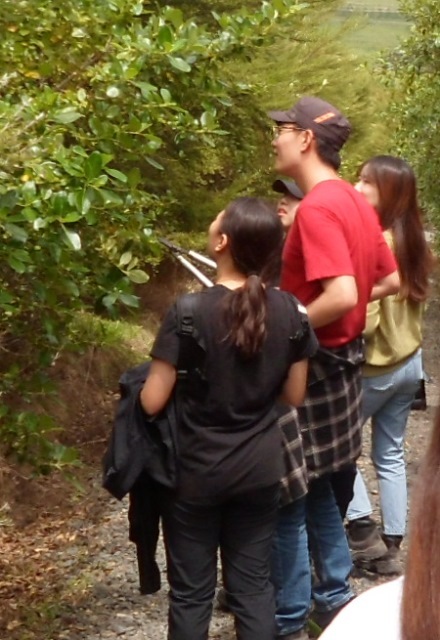 That tree has become a home for kereru and a lot of karaka are growing up under the tree after the kereru have dropped seeds. 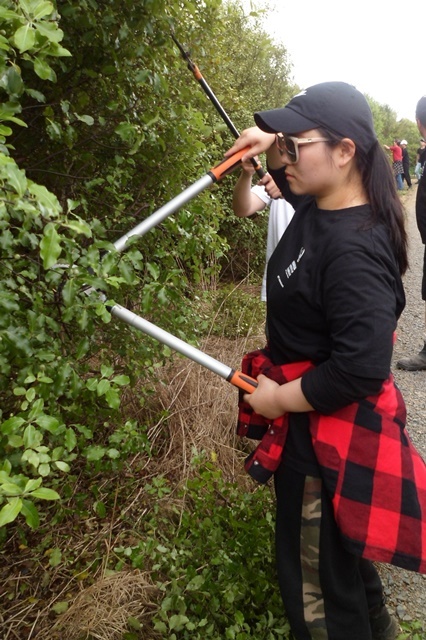 The students got a chance to see how everything in nature is interconnected—by doing pest control and saving the tree, we attracted birds who are in turn creating more forest by spreading seeds. 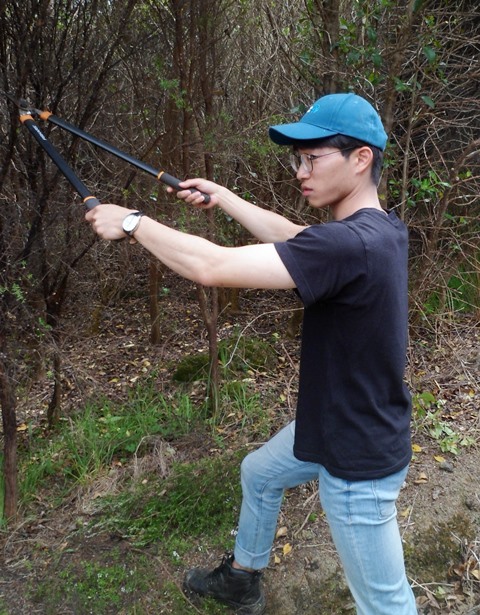 Thomas explained the challenges that native New Zealand plants and animals faced because of introduced pest plants and animals. 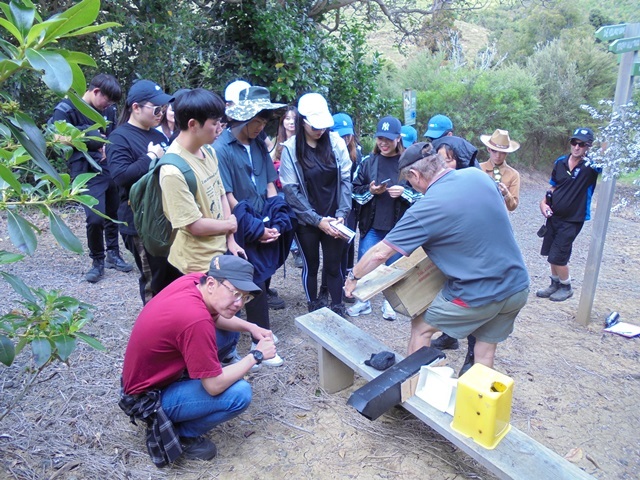 He demonstrated the tracking tunnels we use to monitor pest populations and the students got a chance to interpret some prints that animals had left on the tracking tunnel cards we had collected in the field. 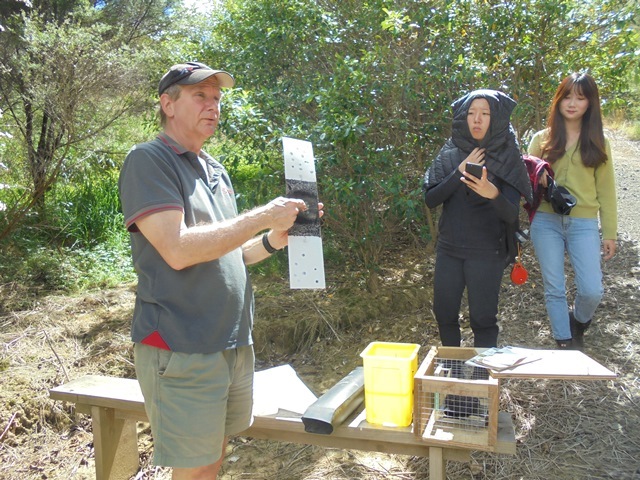 Thomas also showed the students the different traps we use to control various pests. 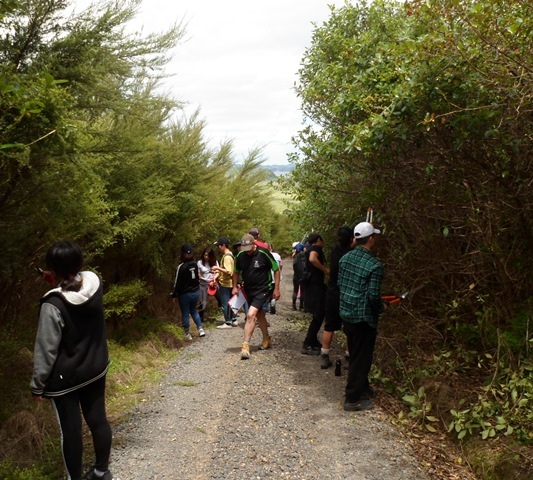 The students explored different parts of the bush as we walked along. 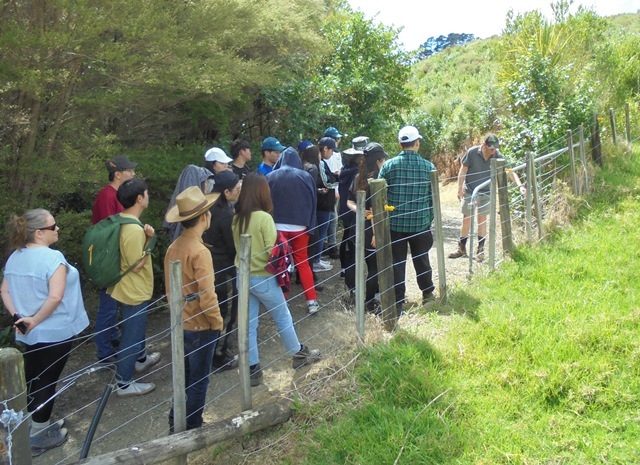 In the bush, the students got to see a weta hotel and learn a little bit about wetas. 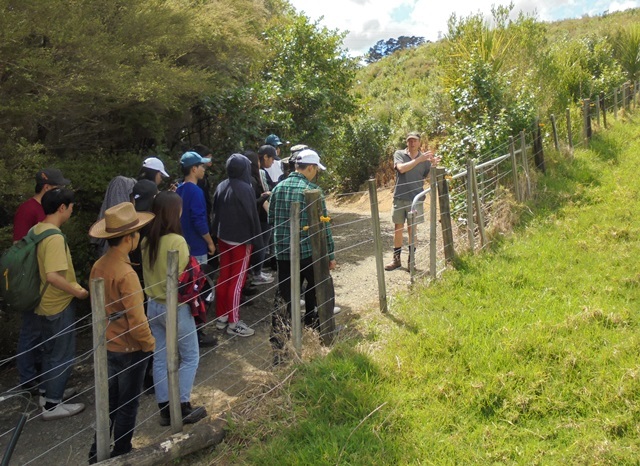 The properties adjoining CUE Haven are still used as farms and we discussed a bit about different kinds of land use and the impact of grazing on the land. 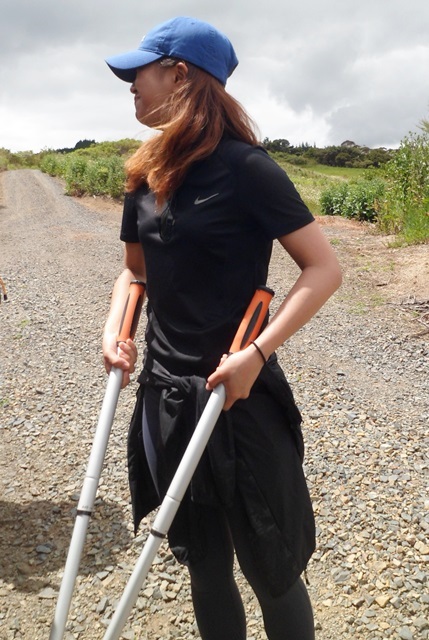 We walked along the stream where because of the improved water quality we now have banded kokopu and koura living. Near the top of the property the students got to enjoy some great views and see some of the work that other student groups have done. 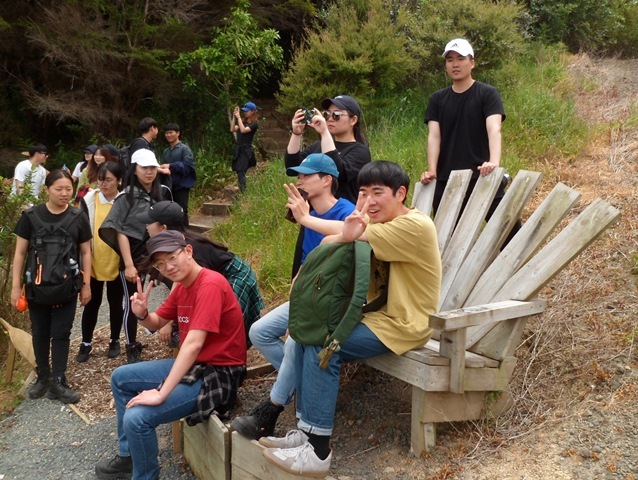 At the top of the property, Thomas also showed them the Kaipara Harbour and the Araparera River so the students could see the connection between the CUE Haven waterways and the harbour and better appreciate how improving water quality at CUE Haven was helping the harbour. 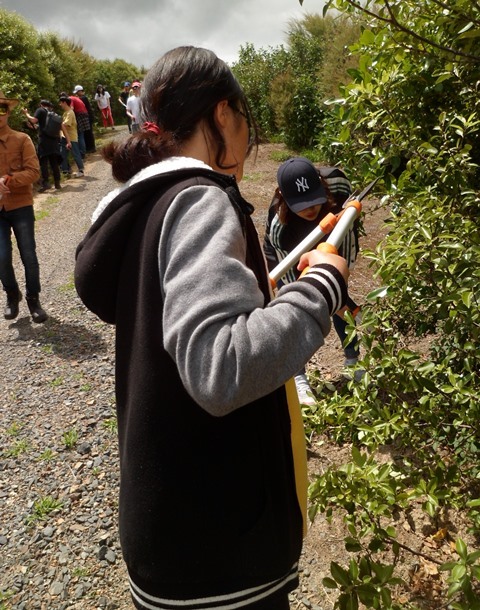 The group came both to learn and to work! 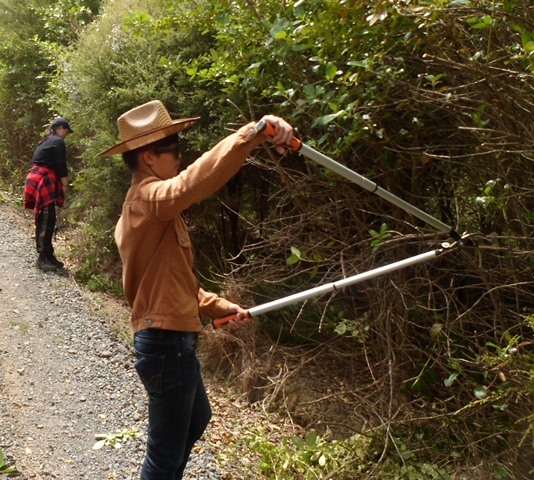 They had brought along loppers and secateurs and for the walk back down to the cottage, they trimmed back some of the vegetation growing over the main road. 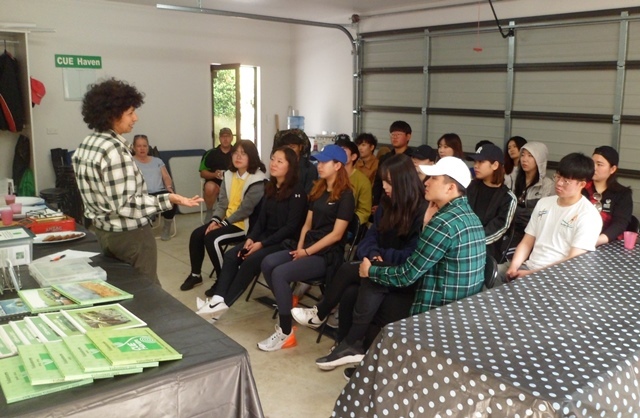 Paul explained the process and gave a safety briefing and the group went to work. The weather was perfect all day but a thirty second shower cooled us off a bit! 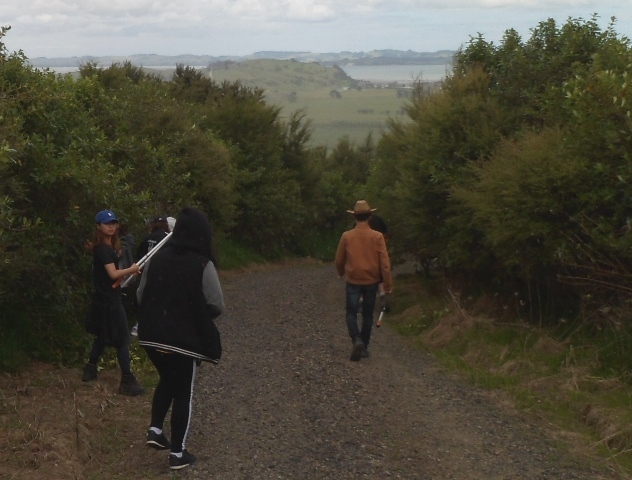 The group then had a quick lunch before heading off to our neighbours at Mataia to lean about their restoration efforts and creating a reserve for the Northland brown kiwi. We want to thank Paul for arranging the visit and Neil and Morag for helping out. We especially want to thank the students for being such great guests, showing an interest in the project and for all your hard work. We hope you enjoyed the day as much as we did. 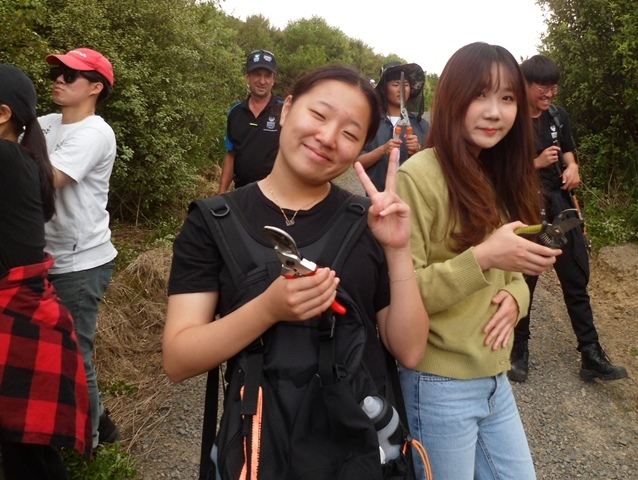 And we hope you enjoy the rest of your stay in New Zealand and wish you the best of luck with your studies and future endeavours. 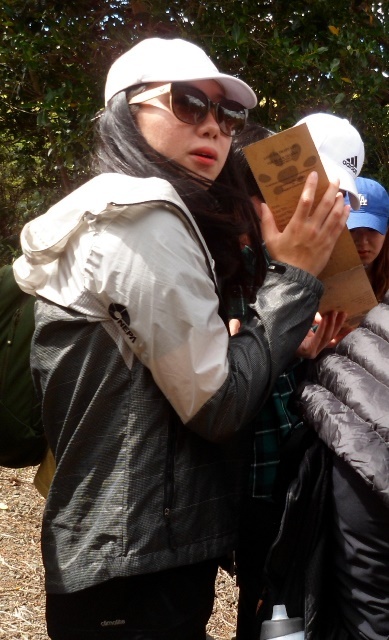 And we hope you will come back to visit CUE Haven some day!